Readers who've enjoyed your book are more likely to leave positive reviews and come back for more. Readers who've been frustrated with aspects of your book are more likely to leave negative reviews and reject further opportunities to engage. One way of thinking about these groups of readers is in terms of zones. The happy readers are in the green zone, the grumpy ones in the red. Thinking in terms of these zones can help writers to decide which editorial services to commission, when and why. Readers have different expectations and levels of knowledge. If there are problems with the text, some won't realize. Or they will realize but won’t care. Others will care very much and be frustrated by the lack of polish. ​It's about putting your readers front of mind because they're your fans, the people who'll rave about you and tell everyone to buy your book. Fans hang out in the green zone. ​Let’s assume for simplicity that the readership is split evenly between those who don’t know or care that there are problems in the book and those who do know and care. Who’d want to alienate 50% of their readership? If you’re self-publishing, you’ll want to stay out of the red zone. That means getting your book in the best shape you can before you publish. What you need to do to stay out of the red zone will depend on whether you’re a mature, developing or emerging writer and the degree to which you've mastered your self-editing skills. It may be that you’re a superb world-builder but that structure and pace are your sticking points. In that case, you’ll need help from a substantive editor. Or you might have honed these aspects but your description tends towards repetition and wordiness. In that case, a line editor will help you make the text leaner and clearer. Then there are the micro elements of spelling, punctuation and grammar correction and consistency. If these are non-standard, a copyeditor will be able to knock the text into shape. Finally, you might decide you want a pre-publication proofread – a final quality-control check prior to publishing. These are the stages, broadly speaking, that the mainstream publishing industry takes its books through to keep its authors in the green zone. In reality, the production process varies from press to press, but it gives you an idea of the traditional approach. It’s not just publishing-house processes that vary. The terminology that independent editors use to define their levels of service provision differs widely too. ​For example, my pre-publication proofreading service is called Proofreading Standard. My copyediting service falls under the rubric of Proofreading Plus (and I include line editing when required). It’s therefore advisable to discuss what you want and what the editor can offer before the editing starts. The table below gives you a broad idea of the different stages (S1, S2 etc.) of professional editing and what they include. As you can see, I’ve allowed for a fair degree of overlap. Gandalf isn’t an editor or a proofreader; he’s a wizard! If he did my job, he’d be able to carry out all of the editorial stages above and find every single niggle, error and inconsistency in just one pass. That’s because he has magical powers – unlike publishers and independent editors! In the real world, though, you’ll have a budget, and some of you will have to make difficult decisions about which services to commission and which to omit (or how you're going to save up for everything your book needs). It’s not for me to tell you here where to invest your budget – universally applicable advice is impossible given the number of factors to consider. What I can tell you is that I've never been able to undertake a final proofread for a book that hasn’t been copyedited first. In a nutshell, good to go is unlikely to be where you’re at if you hire an editorial professional for just one pass. Good enough will have to suffice. I'm not being grouchy, just honest about what's possible. I'm a genuine advocate of the independent author's right to write and publish. I think it's brilliant that anyone can put their storytelling out there. My young daughter was publishing her own stories on WattPad before she was celebrating a birthday with double digits! How marvellous is that? As long as you understand what's achievable, that's fine with me! Writers’ workshops and groups afford the self-publisher a safe and supportive space within which to work and learn from fellow writers and instructors. Groups like these are not just useful in terms of developing skills related to either the macro elements of writing (book-level issues) or the micro elements (sentence- and word-level problems); you’ll also be able to connect with others who are taking the same path as you, and join them in seeking advice on how to structure the journey of writing, drafting, putting aside, rereading and redrafting. Online self-publishing forums and blogs offer a wealth of guidance on commissioning third-party assistance – the whats, hows and whys. 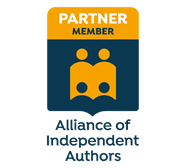 See my Guidelines for New Authors for links to some of these. You might invest in a critique or manuscript evaluation before you commission any third-party editing. This is a niche service provided by specialist editors and writing coaches. A critique can help you to understand where your strengths and weaknesses lie so that you can make an informed decision about how best to invest the rest of your book budget. Once you’ve decided which services you want to commission, get quotations from several editors or proofreaders . Find the professional who’s a good fit for you, even if it means waiting for them. It may be that your preferred person is booked up for a few months. It can feel frustrating to have to wait, but bear this in mind – if they’re in demand, perhaps they’re worth your patience. Consider saving up so that you can mimic the mainstream publishing industry and commission multiple rounds of editing. Think of it as an investment rather than a cost ... and of all those raving fans! See the resources below, some of which will help you with self-editing and reducing costs. All of these are free and instantly accessible – no strings, no email signups. Just stuff to help you out! That's it for this week. I hope you've found the advice here useful. Enjoy the green zone! Can you proofread your own book? Here's my advice on what can be done, and how you can do it. Truly, nothing beats a second pair of eyes on a piece of text, short or long. I know this all too well because I’m a professional proofreader and copyeditor, but I also write – books (yup, I've self-published four times), guides, booklets and blog posts. ​And I miss stuff – not because I have a problem with grammar, punctuation or spelling, but because I’m too close to the text. I see my own writing in terms of the ideas I want to convey rather than the text in front of my eyes. That’s why I hire fellow proofreaders and editors to help make my written materials the best they can be. I don't expect those people to guarantee perfection but I do expect to them to ramp up the quality (and they've never failed me). Here’s another thing I know – the better shape the file's in, the better the price. Editors and proofreaders are professionals and, though we love what we do, we have bills and mortgages too. So, very broadly speaking, the more intervention needed, the higher the fee. There are things every writer can do to tidy up a piece of text by themselves, though. I’ve compiled them in one handy resource: The Author’s Proofreading Companion. The steps in this toolkit won’t replace a rigorous professional developmental edit, line edit/copyedit and final prepublication proofread, but they will help rid your file of some of the nasties! Just click on the image below to get your FREE copy! Hope it helps! And come back soon for more handy tips and advice designed especially for beginner writers. I discussed some of the problems of relying on one editorial client back in 2013. The issues I raised then are as valid today as they were four years ago, perhaps even more so given the current economic and political climate (both here in the UK, and elsewhere). This article revisits the problem and includes an emergency business-promotion plan. The booklet, SOS editorial marketing strategy: Quick fixes for big emergencies, is free to download. I sincerely hope it helps you if you need some inspiration during tough times. You might lose that client. Your reliance on that client’s supply of work could lead to your neglecting what’s in your business’s best interests. They no longer need your services. They can no longer afford your services. Your contact moves to pastures new. It happened to me. One of my primary contacts in a publishing house went on maternity leave in 2012. I noticed her absence – I didn’t work for that press for a year. Fortunately, I had plenty of other clients in my portfolio to ensure this didn’t affect my workflow. It was great when my contact returned to work 12 months later and offered me three novels in one hit, but I’m glad my business wasn’t dependent on her. They merge with other organizations. My first job in publishing was for the UK arm of Williams & Wilkins, a Baltimore-based STM publisher. Prior to 1990, Wolters Kluwer, Lippincott, Raven Press, the medical division of Little Brown, and Plenum were competitors. Over the next decade these would all be subsumed under the WK umbrella – six potential clients gradually became one. You value the experience and portfolio-building opportunities. The client has a lot of work to offer and is able to keep you busy. That means you don’t have to spend time on marketing – your client is doing all the project-acquisition graft on your behalf. In other words, you’re benefiting from the client’s marketing efforts. This can be appealing to inexperienced marketers. Perhaps the work has become more demanding. Maybe the rate of pay, which seemed good enough several years ago, hasn’t risen in line with your own cost of living. Your own circumstances have changed, meaning you need to work fewer hours for the same income. ​If you have only one client, you have no choice – nowhere else to shift your focus, no one else with whom to negotiate, no one else from whom you can accept improved pay or working conditions, and no opportunity to phase out the one (now problematic) client on whom you rely. Whether you’ve lost your only supply of work or you’ve fallen into the trap of reliance on a now unsatisfactory client, there is action you can take immediately. Here’s the free SOS editorial marketing plan I promised. Just click on the image to download. ​Pay attention to the latter so that you’re not at the mercy of the former. It’s essential to protect your future interests by building a portfolio of several clients rather than focusing all your energies on one. If you put all your eggs in one basket and things go pear-shaped, the impact on your editorial business, never mind your emotional wellbeing, could be devastating. If you’re not facing an emergency, you can afford to spread your business promotion over a longer period and focus on slower-burn activities such as content (value-adding) marketing. But if you are in crisis mode, there is action you can take right now that, with commitment, will generate positive responses. You’re not a newbie – you have experience and you’ve already proven your ability to acquire a client. That’s a great position to be in, so use it to your advantage! EDIT JULY 2018: I've created a free webinar that deals with this matter in even more detail. Click on the image below to access it.